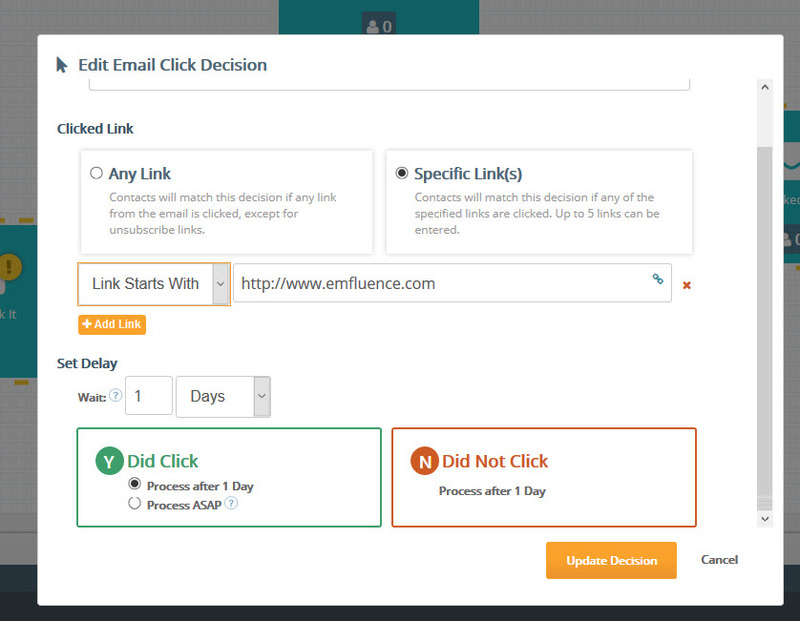 Automated Workflows have new options for targeted emails in the emfluence Marketing Platform. Say hello to Workflow Decisions! As you build out your automated email campaigns, you can now add the option to split your contacts into new email groups based on actions (or inactions) taken by the recipient. These options can be based on clicks (or no clicks), views (or no views), or custom decisions matching a query. With this addition, you can create complex automated email campaigns that lead to desired actions or nurture contacts based on where they are in the engagement cycle with your brand. In short, you could build a campaign starting from a single group that pushes an offer to people who don’t engage with your first email and a different offer to people who do engage. Email View Decisions will allow you to send contacts in one of two directions: Did View and Did Not View. This allows you to experiment with different subject lines for the non-viewers as you attempt to get them engaged. One important note: When choosing specific links, you may wish to choose “Link Starts With” as your qualifier rather than “Link Equals” because of data that could get appended to the end of your link via Google Analytics, a website redirect, or Personalized URLs. In this example, everyone whose Custom Field #65 is equal to “Preferred” will get the “Preferred Customers #1” email. Those who have any other entry (or whose Custom Field #39 is blank) will proceed down the opposite branch and receive the Standard Customers #1 email. As with other queries created in Query Builder, your query may include multiple criteria (ex: Custom #65 Equals Preferred AND First Name Equals David). Want to build an automated workflow with all three types of decisions? Go for it! If you’re using our API to connect to your CRM system, we’ve made an update that makes syncing to email activities even easier. 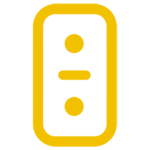 We now offer a single endpoint to collect email sends, opens, and clicks. You can learn more here. If you’re an existing emfluence Marketing Platform client, you can learn more about integrating these decisions into your workflows on our help site here. Otherwise, reach out for a demo and we’ll get you started!